GREAT BEACH HOUSE IN GREAT NEIGHBORHOOD with POOLS & TENNIS close to the BEACH! This house has it all... Bikes, Boogie Boards, Sand Toys, Buckets... just come and enjoy yourself! 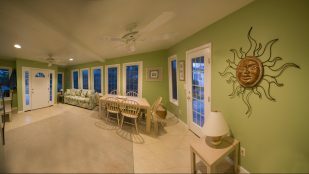 Large, Spacious Beach House with 4 Bedrooms + Sunroom and 3 Bathrooms is available for weekly rental in Bethany Beach, Delaware. 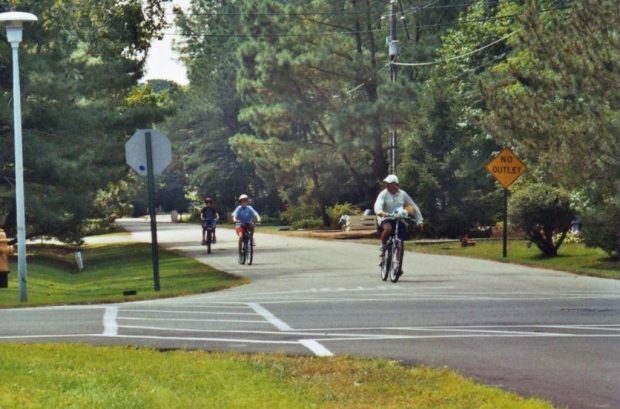 Quiet, family-friendly community of Bethany West is just 8 blocks from the beach. 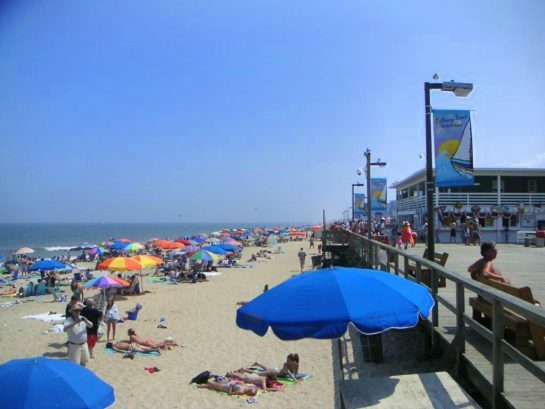 Location is central to all of the other beaches (Ocean City, Dewey and Rehoboth). 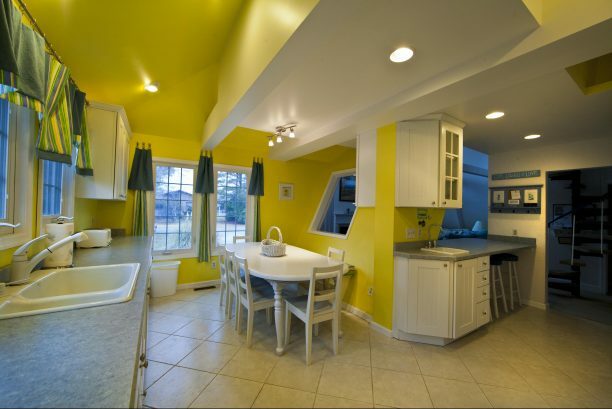 Nicely renovated with lots of space to enjoy, this one-of-a-kind beach house in Bethany West is available for weekly rentals. 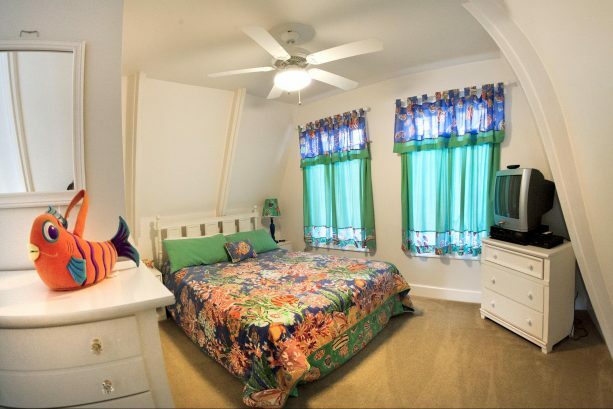 The entire house is nicely painted and features bright colors, nautical windows, and a beachy atmosphere. Open contemporary layout with soaring cathedral ceilings and lots of living spaces to enjoy your vacation both indoors and outdoors on the extensive wraparound decks. House is located in the quiet, family-friendly community of Bethany West and is centrally located between two community swimming pools, tennis courts, clubhouse and basketball court. The library and Catholic Church are located close by, and the Bethany town trolley stops every 30 minutes in neighborhood- great for transporting little kids and beach gear.The house has a spacious 2-story living room with a cathedral ceiling and comfortable sofas, fireplace, cable TV DVD and is perfect for relaxing and accommodating a large group. A beautiful sunroom with additional seating adjoins this area and features a wall of windows to let in the sunshine. The large kitchen is bright and modern and features appliances, countertops, keurig coffee machine, an eat-in breakfast table, a wet bar and eat-in counter with stools. High-efficiency front loading washer and dryer on first level. Second floor features Master bedroom with private bath, a king-size bed, cable TV and cathedral ceiling with front second floor balcony and rear deck. 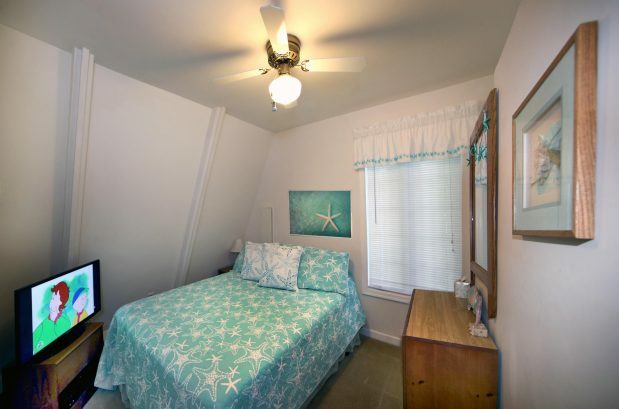 Second bedroom has queen bed, and full bathroom and access to a second floor deck. First floor has a queen bedroom, and a second bedroom with two twin beds. 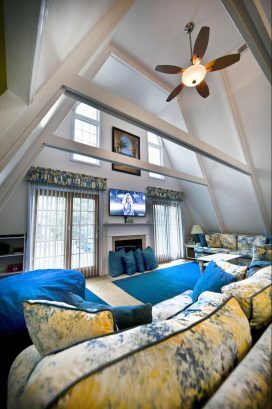 For additional sleeping accommodations, the sunroom and great room each have new queen sleep sofas. There is also a full bath on the first floor as well as a fabulous private outdoor shower on the rear deck (open to the sky) which everyone loves! Outside, there are five decks with nice seating areas to relax and enjoy the outdoors in shade or full sun. This house is great for families with children and perfect for two families to share. You will not find a nicer, larger house at this price. Sleeping Accommodations: House sleeps 9-14 people. Bedroom 1: Master bedroom with private bathroom has King-size bed and Smart TV. 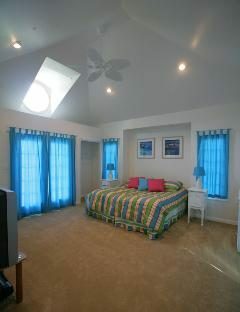 Bedroom 2: Loft area has Queen-size bed and Smart TV and has adjacent full bath. Bedroom 3: Queen-sized bed and Smart TV. 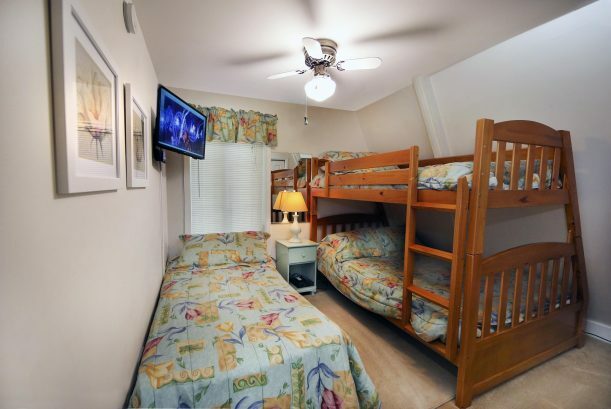 Bedroom 4: 1 Twin Size and 1 Full & Twin Size Bunkbed and Smart TV. Lower level Great Room: Queen sleeper couch. Bathroom 3 has shower tub combination. 11 TRAVELER REVIEWS.... 5 STAR AVERAGE RATING!!! Spacious and lots of bikes! Our family got together w 7 adults and 5 kids and this place was perfect. There were 4 bedrooms, big kitchen (fully stocked for lots of people), plenty of indoor and outdoor eating space. There were also lots of bikes and all the beach stuff (chairs, boogie boards, umbrellas, toys) and games you could ever need. We normally drive to the beach (they have parking passes), but only bc we took so much stuff. Otherwise bikes or the trolley would have been perfect too. Loved it! Thanks! Owner response: "We're so glad you had a great time and you enjoyed the bikes and other amenities. We try to make it as easy as possible for families to have everything they need to enjoy their time at the beach!" This is a whimsical spacious home with many great amenities. This Bethany West home is great for large families. Cheerful and fully equipped, this home offers many amenities such as multiple large bathrooms, many decks for lounging, 2 refrigerators, easy access to the trolley, lots of bikes to ride through the quiet neighborhood and parking passes for in town.. 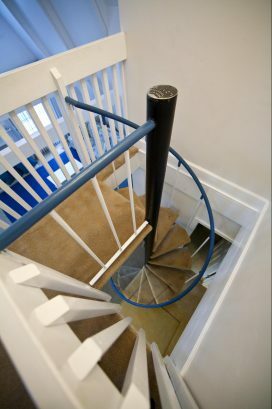 The only drawback was the narrow spiral staircase that made it difficult to navigate with suitcases and small children. I would definitely recommend this house as a great place to vacation . Note there is a cost to use the community pool and tennis courts. Owner response: "Thanks so much for your 5 star review. We love Bethany Beach and the quiet Bethany West community with pools and tennis. So glad you enjoyed your time at our vacation home! John & Kathy"
Wonderful stay at a great beach house! We had a wonderful time at Kathy and John's home. They were very accommodating with our arrival and departure time. The house has everything you would need and then some, including bikes, boogie boards, helmets, etc. The beds were comfortable, and there were multiple seating areas so everyone had a place to hang out. We really enjoyed biking around the lovely neighborhood which has very little traffic. It was close enough to the beach to walk as well! We will definitely be back! Second year in a row!! LOVED it just as much. This was our second year in a row at this lovely home- we truly can not imagine going anywhere else for our annual beach trip now. Kathy is just wonderful to work with. No detail is spared in the home. We have arrived twice now to have little things that other rentals never have- toilet paper, spices, plenty of beach chairs, bikes, and so much more that I'm forgetting. The three bathrooms are essential for us- we have 4 teenagers, and couldn't do without! So close to the grocery stores and the beach, and we love to travel down to Rehoboth and Ocean City for some night life. I really can not rave enough about this place- we are already planning on coming back next year! Thanks so much for sharing your beach house with our family. 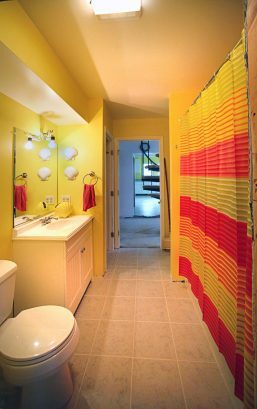 You have tastefully decorated and well stocked your house with just about everything we needed at the beach, and having three full baths and two refrigerators was a delightful bonus. The house is located on a small U-shaped street that was quiet and safe for small children. We enjoyed the outside living area, which included plenty of shade, a porch and picnic table, an outside shower and hose to wash off sand, a fire pit, small lawn area for games, and the many bikes. When it was time to kick back and unwind, the living room was a spacious place for everyone to gather and watch Netflix on the TV. The owners are very nice and were easily accessible before and during our stay. Thank you so much for sharing your wonderful home with us for the week! We loved every moment of our stay. There was ample space for my husband and I and our 8 children aged 4-20. We especially loved the bikes and the fire pit- both made for quite a few pleasantly lazy evenings. We also loved the community pool. Easy access to the Catholic Church, the beach, grocery stores, and so much more. Future renters- rest assured that the owners are very friendly, accommodating, and spare no detail. We are already planning on returning next year. Thanks again!! Now this is my idea of a beach getaway!!! Everything you need to enjoy a weekend or a week away. Close enough to bike or take the Trolley into town..but far enough away to enjoy some piece and quiet...great amenities...owners have thought of everything!! Five star ratings for Comfort, Location, Cleanliness, and Ease of Check-in. My family and I had a wonderful time. The neighborhood was nice and quiet and the outdoor space was perfect. Fire pit area was a nice surprise. Outdoor shower came in handy. I was a little concerned about the spiral staircase but the kids (4 yr old and 8 yr old) handled it well. We would not hesitate to rent this property again. We had a lovely time in your beautiful and spacious home! It was our first ever family beach vacation, one that won't be forgotten. 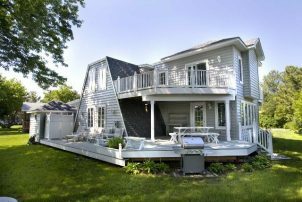 The listing accurately depicted this wonderful vacation home...all amenities included (including beach equipment, parking passes and bikes to ride to the boardwalk) and plenty of space for the entire family. The house was clean, in great shape and the owner was easily accessible if needed. Would highly recommend it!! We returned from our stay, unpacked our car, and I am finally sitting on the couch and reflecting on our past week. There are so many things to say about your house, I hope I remember them all. 1- It is absolutely BEAUTIFUL! 2- We arrived a little early and walked in. The house was clean, just not vacumned. We brought our stuff in and ate lunch and the cleaning crew came back at about 2 to vacumn. We were pleasantly pleased with the light, cleanliness, and decor of the house. 4- The parking passes for the beach were key and were extremely helpful. 5- we were very happy with the size of the bedrooms and the fact that there was a tv in each one. 6- the bathrooms were extremely clean and the outdoor shower was the best part especially after the long days at the beach. 7- we were surpirsed to find paper products, spices, garbage bags, etc. upon arrival. We have rented homes before (never in bethany) and they were completely empty. We used the toilet tissue, paper towels and spices that were there and left 12 rolls of toilet tissue, 8 rolls of towels, dishwasher detergent, windex, fantastic, and all our brand new spices there for future use. I completely cleaned out the frig, totally washed all bathrooms, made all beds, closed all blinds, and completed the entire checkout checklist and locked the door on the way out. We had an outstanding time there and hope to make it back next year. I just wanted to let you know we were very happy and you are so very lucky to own such a beautiful home. Security Deposit: Security Key Deposit: $300. Other Taxes / Fees: Cleaning Fee: $125. 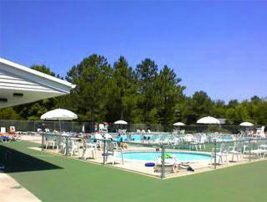 Notes: Optional fee for use of Community Pools, Tennis Courts & Clubhouse.$20 week per person or $6 day per person for ages 6 yrs and older.Anyone 5 yrs and younger are FREE. Fees are subject to change. 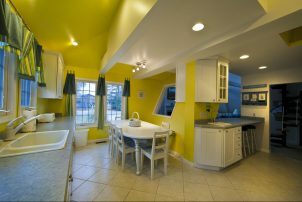 Contemporary Beach House, with lots of space indoors and outdoors for enjoying Bethany Beach. 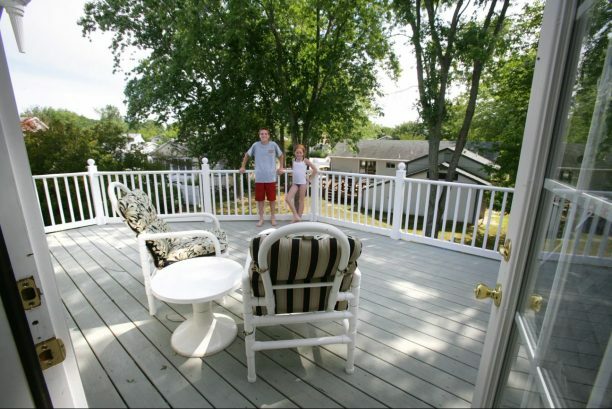 Lots of outdoor decks, with nice seating and a large yard to enjoy. Outdoor shower, gas grill and fire pit. Large, bright eat-in Kitchen with Bar sink and bar stools and table that seats 8-10. 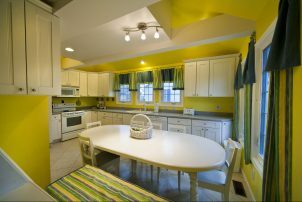 Large bright Kitchen with all appliances. 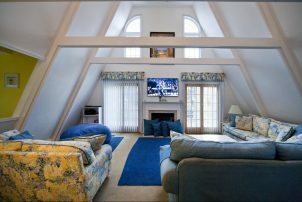 Great room with lots of comfy sofas and 55" flat screen tv to relax and enjoy. 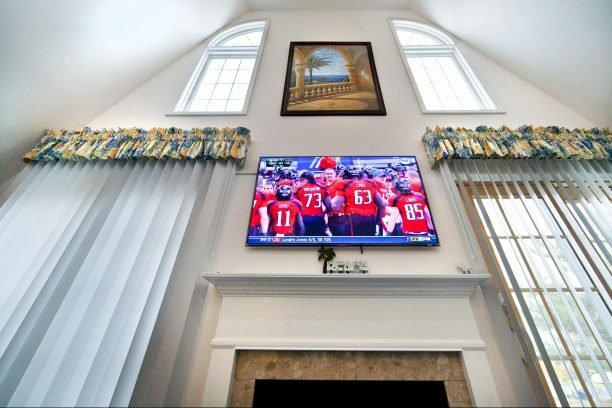 Great room with 2-story ceilings, comfortable seating, fireplace & cable TV/DVD. Large screen flat TV and lots of windows in Great Room. Sunroom with lots of windows and queen sleep sofa. Large Master Bedroom with Private full bath, cathedral ceilings and private deck. Queen Bedroom located on First Floor. Twin bed and Twin/Full Bunkbed located in bedroom on the First Floor with TV. 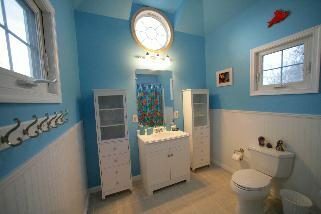 Full Bath located on Lower Level. Blue bath with fun beachy decor and nautical windows. Spiral staircase to second floor bedrooms, baths and decks. Private upper level deck for relaxing and enjoying the sun. 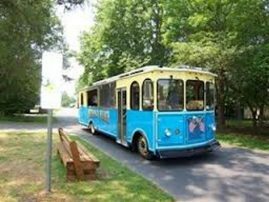 Bethany Trolley has stops in Bethany West and brings you to the beach for 25 cents! 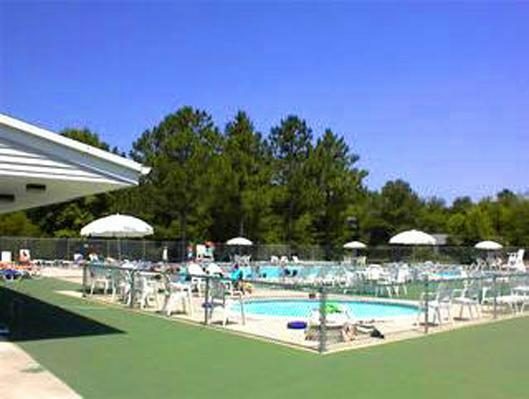 Bethany West has 2 pools and tennis courts that charge a fee for daily or weekly use. 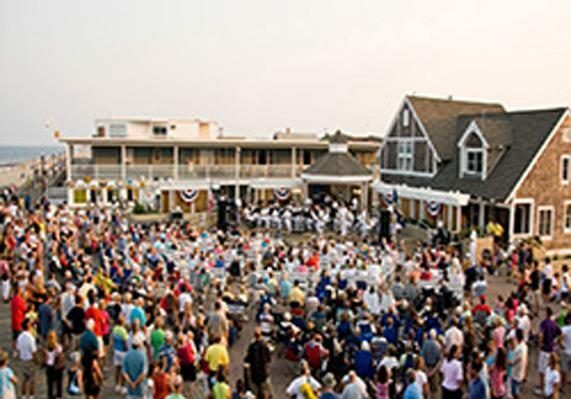 Bethany beach is known as the Quiet Resorts with beautiful beach and fun boardwalk shops. 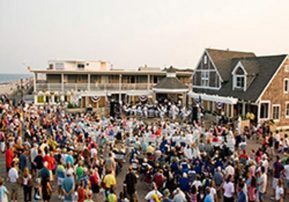 Bethany Beach Bandstand on the boardwalk features free music and entertainment. 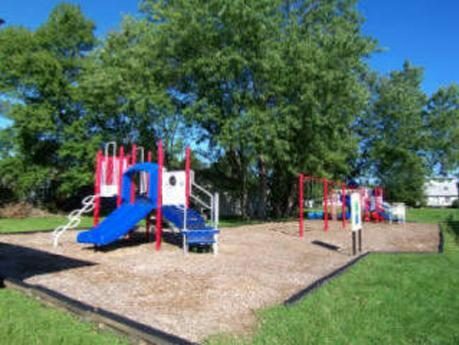 Playground and basketball court available close to front pool at no charge. Bethany bandstand features activities and music to enjoy. 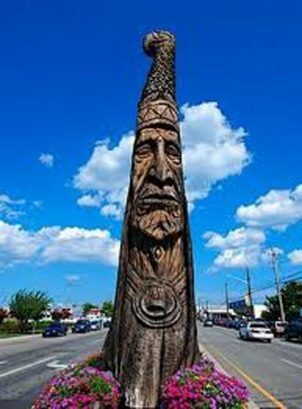 Totem pole marks the entrance to Bethany Beach shops and boardwalk. There have been 3160 visitors to this page since the listing was published on the site.